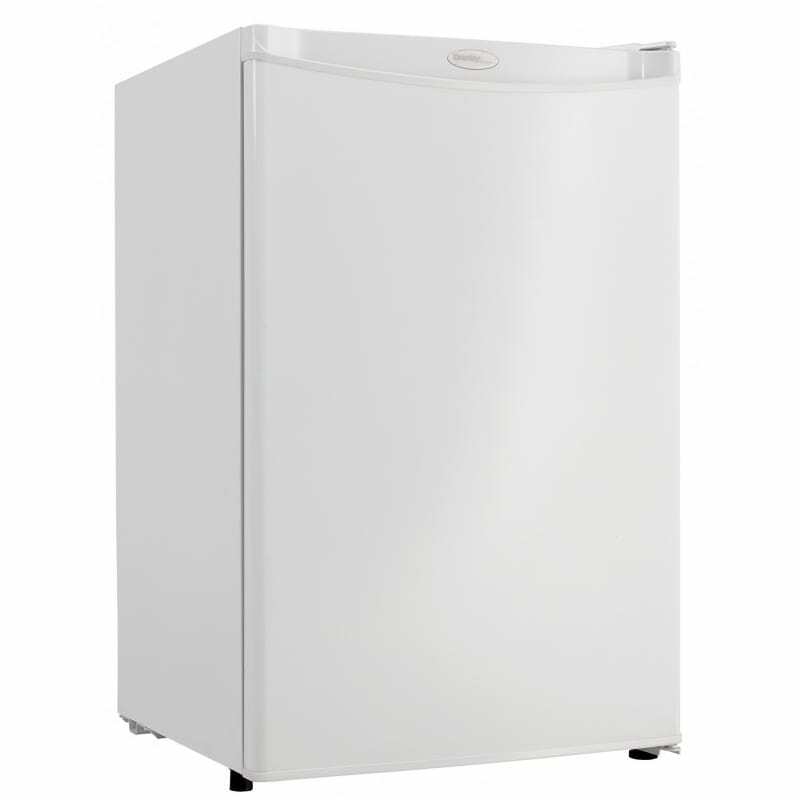 The Danby Designer DAR044A4WDD undercounter refrigerator has more than 4 cubic feet worth of storage space. Supplies can be organized with movable shelves, and various door compartments, while the door holds cans at an angle and has walls to keep items in place when it swings open. The interior takes care of excess frost automatically, To simplify user experience, the interior automatically takes care of excess frost. The DAR044A4WDD refrigerator can fit under a countertop or desk, or it can sit as a workstation with its scratch-protected top. This is an efficient refrigerator that uses environment-safe refrigerant.